Following her show-stopping performance at New York’s ‘Pride Fest’ last week, Emergency Tiara has released the joyfully brilliant and rhythmically nostalgic Oh Mama Dear to bring in the summer with style. What a great song – that 20th century energy feels organic and authentic but brings with it an unquestionable level of character and originality; something that clearly holds true to the Emergency Tiara sound and approach to creativity. Oh Mama Dear is a huge song, feeling like something fresh from the new Tarantino flick, Emergency Tiara exercises a natural and passionate connection to music and presents this with equal parts sophistication and skill. The accompanying video enhances the song in the perfect way, the black and white look works in unison with the vintage dance moves and the serious yet calming, captivating facial expressions – all in all working beautifully in favour of the underlying, classic energy of the song. 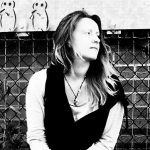 From a writing perspective, the structure of the single works really well – the intro showcases that descending chord progression and a freely meandering solo. Following this, the hook smashes into action – an immense moment and an absolute strong point for the whole track. Those three words, the rising notes used to deliver them – moving upwards in contrast with that descending chord progression in the backdrop – they quickly capture the audience’s attention and indeed affection with their simple but effective strength. The musicality of this song is fairly minimalist, which gives it a sense of realness – it makes a live show all the more appealing and lets you get a little closer to the artists involved. 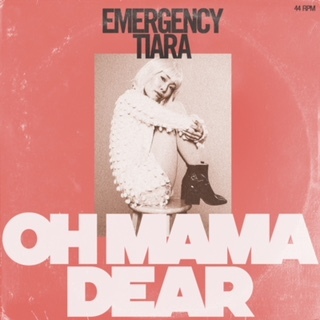 Right now, at this very moment, there aren’t many – if any – artists and bands who come to mind as comparable to Emergency Tiara. This fusion of yesteryear and today works in a refreshingly honest and endearing manner. The song is incredibly addictive and an easy joy to have pop up within any modern playlist. Find & follow Emergency Tiara on Facebook, Twitter & Instagram. Visit her Website for more information.